Today, an increasing number of people are choosing to buy from local companies. For any product or service, there is a tremendous value that comes from hiring a local business. This applies to local moving companies, whether residential, commercial, local, or long distance. As you will see below, there is real value in staying with local movers. Therefore, before hiring just any company, consider the benefits of choosing one from within your own community. Community Pride – The people who own and work at local moving companies often live in the very same community as you. Even in larger communities, there is a sense of pride that comes from offering quality services to local residents. If you love your community and want to do everything that you can in support of it, start by looking at movers within your area. Cost Savings – Often, the cost of moving is less when using local moving companies as opposed to those on the other side of town. Some of this has to do with community support, but this is also the result of being so close to where you live or where you are moving. By driving a short distance, movers experience less downtime and less money is spent fueling up the moving truck. The savings is then passed down to you as the customers. Problem Solving – Another reason to consider local movers is that if a problem should arise, you would have greater confidence of reaching a satisfactory resolution. Reputation is critical for achieving success. Therefore, if you need to file an insurance claim or have some other issue, more than likely, the problem will be resolved quickly and efficiently. Company Verification – Because it is easy for moving companies to make virtually any claim they want, it is important that you always verify information. For example, you should confirm that a moving company has a brick-and-mortar address since only maintaining a website raises a serious red flag. When companies are local, you can simply drive to the address provided or advertised to get verification. You can even walk inside to get a feel for the level of professionalism provided to customers.  Let Rainbow Movers Help You Move! Do you live in the Boston Metropolitan Area or in Providence, Rhode Island? If so, let us help. Instead of randomly selecting movers, start by researching local moving companies close to where you live. You will find that the service is outstanding and that everyone in the company works hard to ensure your 100 percent satisfaction.